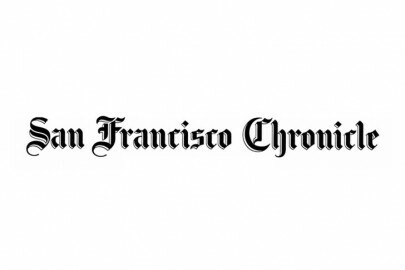 Journalism instructor Tom Graham complains in the Guardsman’s Feb. 5. issue that the San Francisco Chronicle’s coverage of City College’s accreditation woes amount to a “negative attack” on the college. Mr. Graham has made similar complaints in other forums, and the allegation of unfairness is tossed about freely around the school by others. As the writer of the Chronicle’s accreditation stories, I’d like to respond by inviting everyone to read them — perhaps for the first time. There are 32 so far, and all can be found at www.sfgate.com/citycollegeofsfaccreditation. Readers will find that the stories are impartial and seek to inform the community of the facts: What’s in the accreditation reports. What the trustees voted on. What protesters are saying. Reaction to the special trustee. How much the interim chancellor is paid. How the problems got started. What the college has done to fix itself, and who opposes it. People on all sides of the issues are quoted. On campus recently, a professor took the microphone and announced that the Chronicle (meaning me) had written that “this school is a basket case.” That “the faculty have too much money.” And that despite City College’s excellent academic standing, “that’s not part of the narrative that you read in the Chronicle.” The professor, whose comments are recorded on a widely circulated video, has apparently never read my stories, for I’ve never expressed any opinion. It’s not my job to say if the school is good or bad. Impartial reporting is a rare and precious commodity. Most countries don’t allow it, and they certainly don’t let reporters tell what’s going on in ways they would disapprove of. So I don’t imagine that’s the kind of thinking Mr. Graham and others at the college want to emulate. But here’s a radical idea. If you have an idea for what you’d like to read in the Chronicle, tell me what it is. Share your views with me at 415-777-7127 or asimov@sfchronicle.com. And if you still want to complain about my stories, feel free. But please read them first.